Do you want to take your yoga practice to the next level? Does the idea of sharing the yoga practice with others as a teacher intrigue you? Are you interested in learning more about the philosophy behind the practice? TYS Teacher Training offers a unique, integrated approach to studying, practicing, and teaching yoga. Through this training you will develop a deep foundation of yoga philosophy, anatomy, and asana. As you cultivate your own practice, you will gain the tools needed for teaching a safe and fun yoga class all while gaining a better understanding of yourself along the way. TYS Teacher Training is ideal for aspiring teachers, health practitioners, and students who want to simply deepen their practice and study of yoga. You will have the unique opportunity to study with leading guest teachers, such as Kristin Leal (MetaAnatomy), Dr. Carrie Demers (Ayurveda), , and Tias Little (Anatomy, Philosophy, Asana) who are specialists in their fields. In addition, you will receive business coaching, practical teaching experience, and mentoring from lead teacher, Jennifer French, as well as other TYS teachers and past TT graduates. Upon completion of this program, you will have a deeper understanding and mastery of your home practice, and be fully confident and capable to teach yoga, if that is your goal. You will also qualify to register as an instructor with the internationally-recognized Yoga Alliance. Please have at least one year of consistent yoga practice. Advanced asana practice is not required; a full commitment to the program is. To apply, submit a completed Teacher Training application(.pdf). You will be contacted to schedule an interview with the program director. All students of yoga are encouraged to apply, regardless of physical ability or limitations. TYS Teacher Training is spread over five months to accommodate those who work a standard full-time schedule, seasonal residents, and students with other obligations. We meet every Wednesday and every other weekend (Friday, Saturday, and Sunday). Your dedication and 100% participation is required for the program. In addition to the scheduled meeting times, you will complete individual and group homework projects, observe and participate in several weekly group classes, contribute Karma Yoga hours, and develop a home practice. Dates: Because of the intensity and in-depth nature of our program, it is only offered every other year. Our next session begins December 5th, 2018 and ends April 15th, 2019. 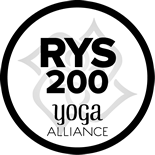 The Yoga Sanctuary Teacher Training Program is directed by Jennifer French, owner of The Yoga Sanctuary and Yoga Alliance Registered Instructor (E-RYT) with over ten years of teaching experience. 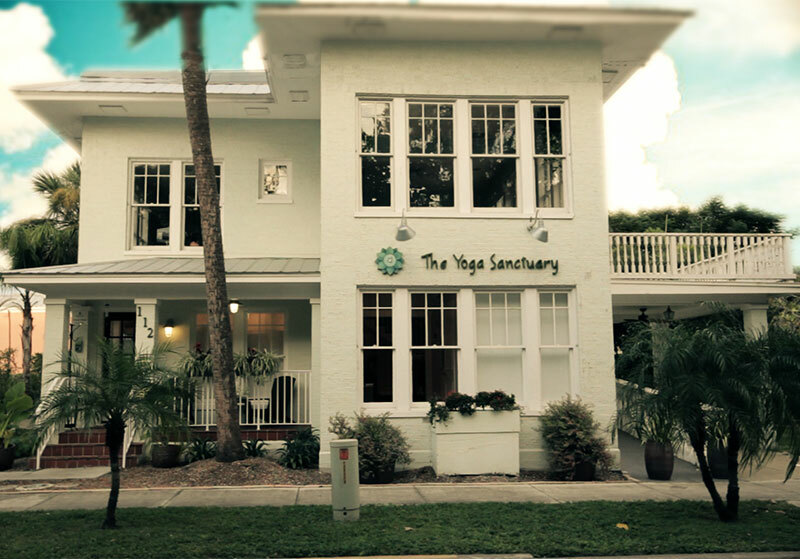 The faculty also includes local RYT Yoga Instructors and world-renowned guest instructors to offer students one of the best Training Programs in Southwest Florida. Kristin’s teachings are infused with the miracle of the human body and the liberating potential of movement. She is the creator of the Kaya Yoga 200 and 300-hour teacher training – graduating over 1,000 students since 2005 – and leads workshops around the world. In love with how esoteric anatomy links so effortlessly to Western anatomy, her MetaAnatomy™ trainings blend serious scientific knowledge with a sense of humor and a deep connection to the divine within us all. Since 2006 she has been working with Yogiraj Alan Finger of ISHTA yoga and has helped this yogi master translate his teachings to create his 300- hour and ISHTA marma point teacher training. A licensed massage therapist since 1995 (Swedish Institute of Massage,) she also holds certifications in Reiki, Thai massage, neuromuscular and myofascial release, and is a co-author of the book “The Yoga Fan” (2003) and the author of MetaAnatomy™ (2014). Learn more about Kristin here. As the Director of the Himalayan Institute Total Health Center, Dr. Carrie Demers M.D., lectures nationally on Ayurveda and holistic health. Board-certified in Internal Medicine, Dr. Demers is a holistic physician who blends modern medicine with traditional approaches to health. After receiving her medical degree from the University of Cincinnati and completing her residency at Michael Reese Hospital in Chicago, Dr. Demers went on to study massage, homeopathy, nutrition, herbal medicine, Yoga and Ayurveda. Widely recognized for her expertise in holistic health, Dr. Demers has been quoted in Time magazine, and is a frequent contributor to Yoga International magazine. Tias synthesizes years of study in classical yoga, Sanskrit, Buddhist studies, anatomy, massage, and trauma healing. Thus his teaching brings together precision of alignment, anatomical detail and a profound meditative experience. Tias is a licensed massage therapist and his somatic studies include in‐depth training in cranial‐sacral therapy. His practice and teaching is influenced by the work of Ida Rolf, Moshe Feldenkrais and Thomas Hanna. Tias is a long time student of the meditative arts and Buddhist studies beginning with Vipassana and continuing in Tibetan Buddhism and Zen. His teaching style is unique in being able to weave together poetic metaphor with clear instruction filled with compassion and humor. Tias earned a Masters degree in Eastern Philosophy from St. John’s College Santa Fe in 1998. He lives in Santa Fe, New Mexico where he directs his school Prajna Yoga with his wife Surya and is author of three books, The Thread of Breath, Meditations on a Dewdrop and The Yoga of the Subtle Body. One of the greatest benefits of participating in The Yoga Sanctuary Teacher Training Program is FREE unlimited classes! Your tuition also includes 20% off all workshops led by TYS instructors, all books required for the program, and all other retail items. Enjoy your unlimited classes and savings once your registration is paid in full. Deposit of $500 due within two weeks of acceptance into the program. Three payments of $950 will be automatically charged to your credit card beginning the first day of the program. If you are interested in the payment plan, or have any questions, please e-mail jennifer@theyogasanctuary.biz. Please contact jenn****@**eyogasanctuary.biz for any additional information.